Journal Of A Petite Diva: OMG!! WHAT IS WRONG WITH CELEBRITIES AND MARRIAGE?! That was fast. Not that many people even knew they were dating. Just three months after she publicly split from rapper, Big Sean, Glee star Naya Rivera is a married woman. Naya married longtime friend actor Ryan Dorsey on July 19 in Cabo San Lucas, Mexico, in front of a small group of close family. "We feel truly blessed to be joined as husband and wife. Our special day was fated and everything we could have ever asked for." the couple told People magazine. 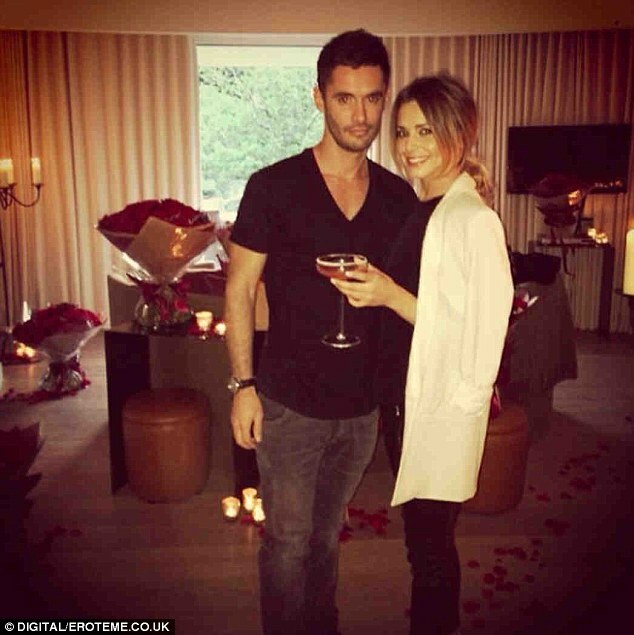 Cheryl Cole has married her French boyfriend in secret after a three-month romance. The X Factor judge posted her news online to ‘stop the speculation’ over the relationship. The message was posted with a picture of a large platinum princess-cut diamond engagement ring and a diamond encrusted wedding band. The singer and Jean-Bernard Fernandez-Versini, 33, reportedly tied the knot on a beach in Mustique in front of just four witnesses. The X Factor judge’s mother Joan and PA Lily England were two of the guests as she wed on the white sands of Macaroni Beach, and it is also thought her brother Garry was present for the occasion. 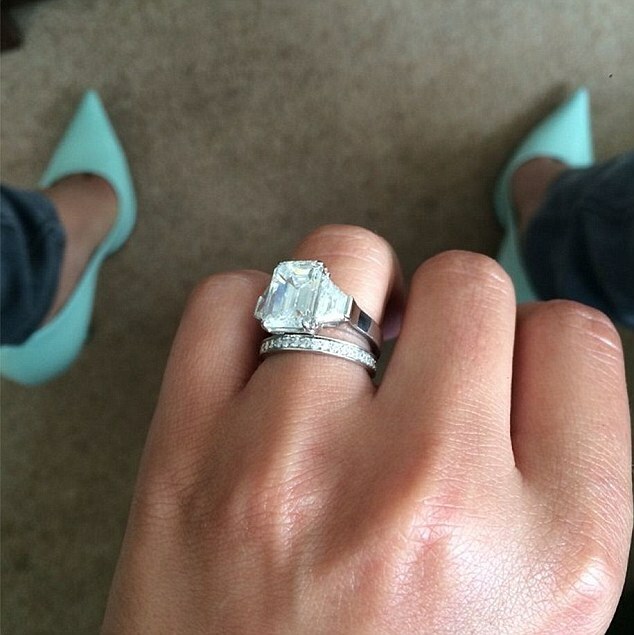 Cheryl, 31, said: ‘I usually do not discuss my personal life but to stop the speculation I want to share my happy news. Jean-Bernard and I married on 7/7/14. We are very happy and excited to move forward with our lives together. So for Naya it is said that she has known the guy for 4 years and they just started dating after she broke up with the other guy. Fine, i can understand turning a friendship into love (even though it is not easy) but is 3 months sufficient to know that he is the right one? Considering the fact that she was engaged to the other guy. Then Ms Cheryl Cole, like really? I don't get the way these guys fall in out of love, honestly! I feel i am messed up in the head or strange or something because i can't seem to fall in and out of love as easily as they seem to do. I don't even know if i was ever truly in love with my ex boyfriends. And after the last one i had i have been finding it hard to even like someone not to talk about love someone and here are some people getting married after dating for three months. I know somebody might agree that it is possible to know your lifetime partner after 3 months but my fear is that the person might be pretending for that period. I once heard a pastor say that he advises people to date for more than 6 months before considering marriage. According to him (which i feel it is true) no one can pretend for up to 6 months. And looking back at my very few relationships i have realised that i always found out their true character after 3 months though i continued to hang on for some months but the signs were always there. I don't know but immediately i saw the articles the next thing i thought was 'let the countdown to the divorce begin'. I am sorry for my thoughts but if you look at the statistics you are bound to think so. I don't what you all think but that is my own opinion. I am really mad that marriage is something that people now take lightly. I don't get the jump in and out thing that is going on lately. However i really would like to know what you think about this whole short dating period then marrying. Please leave your comments below or on our facebook page. I totally agree, I shake my head at the way celebrities often treat dating and marriage like a total game. It's sad but I feel like it's not entirely their fault-- it's our society and culture that nurtures the myth that "true love at first sight" or some garbage like that exists. Love and commitment don't come out of nowhere; when the excitement of a new relationship dies down, it's up to each person to really work hard at keeping the relationship healthy and strong. It's certainly not the fairytale sold to us by many Hollywood romantic-comedies and dramas! I agree with you. A pastor once said that his wife says that you wear your wedding dress/suit once then from that evening you wear work clothes. You have to work on your marriage every day. Oh well, non celebrity marriages crash too as soon as it's contracted but you know celebs are always in the spotlight. The truth is many people are needy, they can't stay for long without a partner hence the hopping on and out. We'll, some people are good at pretending my dear. Some can pretend for up to a year to get what they want so I won't say xyz time is okay, just follow your intuition. Yes o non celebrity marriages crash and crash badly too. You are so right about people pretending even for a long time (one of my friend's case is a big example). I think you need God given intuition to know. That is one of the things i desire from God. Well like Amaka said, even non-celebrity marriages crash. I think the main cause of marriage crashes is because the union is not even respected in the 1st place. People just get married for the fun of it now and so ending it wouldn't even mean anything. I remember that our parents would stay in an abusive marriage irrespective. You see people celebrating 50 years together but now, you'd be lucky if you and your spouse made it past the 1st year. I just believe when you make God 1st in everything you do, every other thing would be added. Nice post diva.